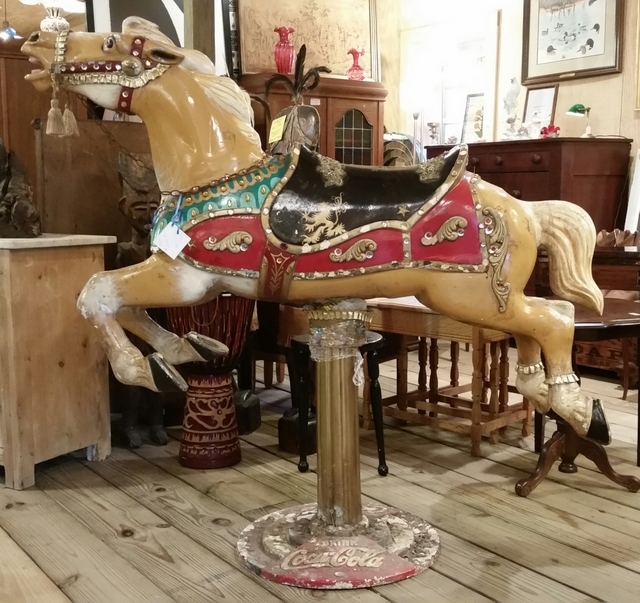 Vintage carousel horse on cast iron Coca-Cola stand. Next Post19th century Benjamin Talbot Babbitt original advertising soap box. Where the phrase “Get off your Soap Box” originated.